University of Chicago Press, 9780226713298, 374pp. Paul Ricoeur has been hailed as one of the most important thinkers of the century. 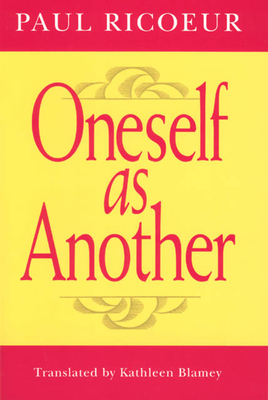 Oneself as Another, the clearest account of his "philosophical ethics," substantiates this position and lays the groundwork for a metaphysics of morals. Focusing on the concept of personal identity, Ricoeur develops a hermeneutics of the self that charts its epistemological path and ontological status.